I never see Maggie alone . . . .
That tune, with words by Harry Tilsley, was one of the songs I used to sing with or to my kids during our many car trips. 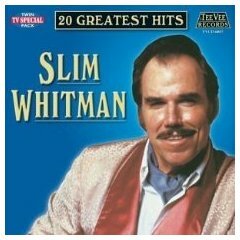 I learned that song from an album by Slim Whitman, who died today at the age of 90. I still have that album and others by Whitman among the hundreds of vinyl LPs we retain and occasionally play. I obtained those Whitman albums in the 1950s, when I was caught up with what then constituted country-and-western music. The collection also includes Webb Pierce, Kitty Wells, Faron Young, Ferlin Husky, Little Jimmy Dickens, Hank Snow, Bob Gibson, Hank Williams, Elton Britt, Wilf Carter (Luke the Drifter), and Tex Ritter. I was listening to doo-wop at the same time, and I already was immersed in opera and other classical music, but that brand of country appealed to me. My friend Michael P. Moran and I even had a country music show for a few years on the radio station at Seton Hall University. Whitman had a significant following that was partly due to his romantic style. While many country singers liked to dwell on the futility of life (“There Stands the Glass”), Whitman favored love songs and romanticism in general. His voice was also more likely to appeal to an audience beyond the usual country crowd; he was a genuine crooner. And he was a wonderful yodeler — he and Elton Britt were my favorites in that regard. I lost interest in country music as it became more and more the highly-produced form that defines it now. But I still go back to the vinyl from time to time to hear it done right. 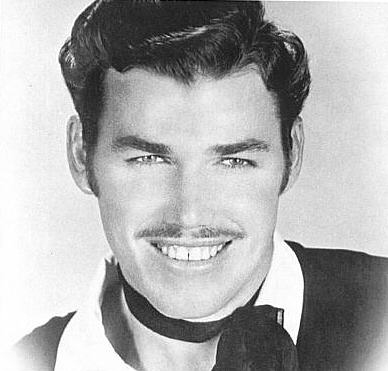 Speaking of that, listen to Slim Whitman at THIS LINK.